Install and activate Genesis Simple Share. 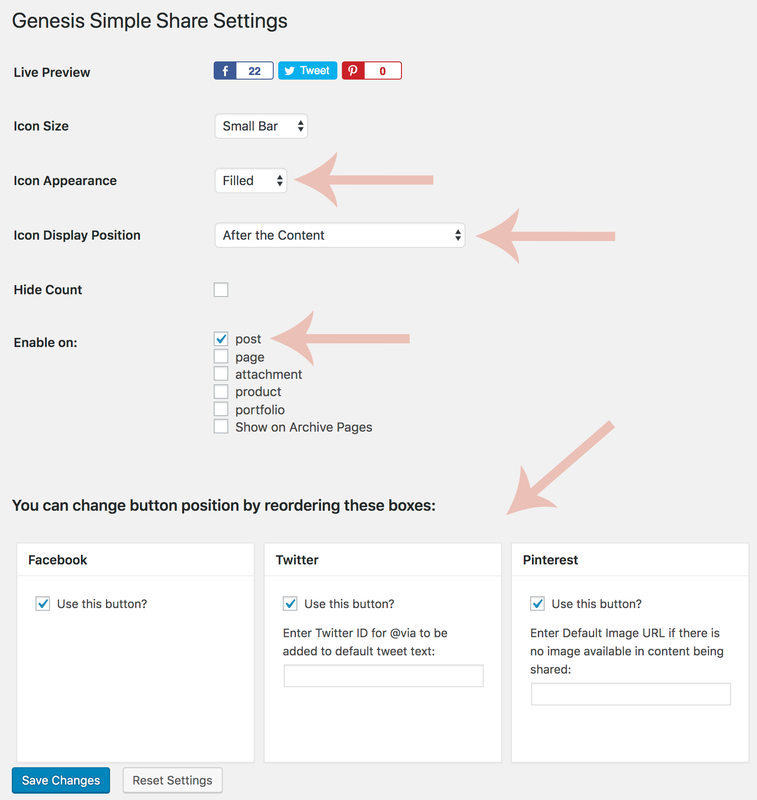 In your WordPress dashboard, go to Genesis > Simple Share. Configure settings exactly as shown below. Save changes. If your sharing icons are showing an error message, please see this article.